The origin of the word mango? 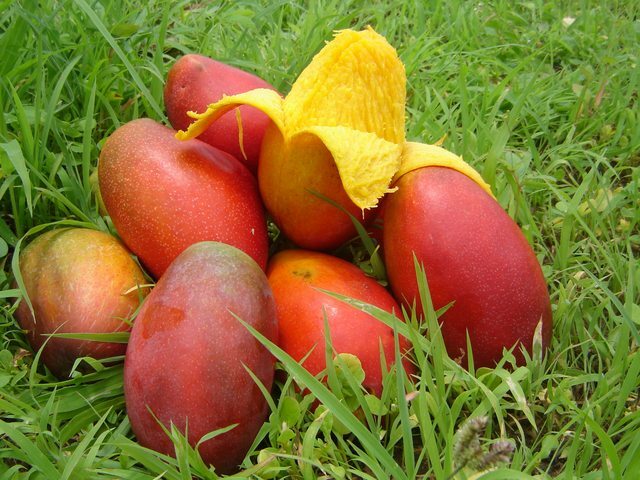 The name mango is derived from the Tamil word 'mangkay' or 'man-gay'. When the Portuguese traders settled in Western India they adopted the name as 'manga'.